An interactive installation in London's Design Museum to challenge the public on the future of finance, in a tangible way. 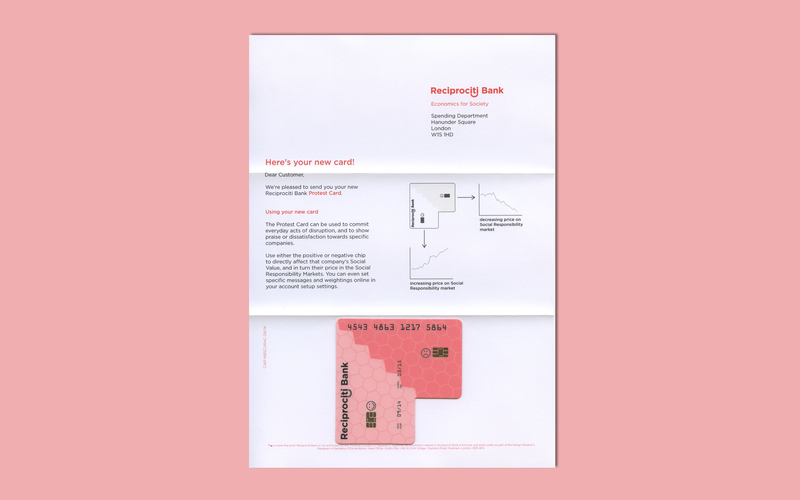 For the 2014 Design Museum's Designers in Residence program, Studio PSK worked with numerous elements of the financial services to explore new ideas on what economics means, and how it might be different. We created an immersive space to challenge the public on the future of finance. 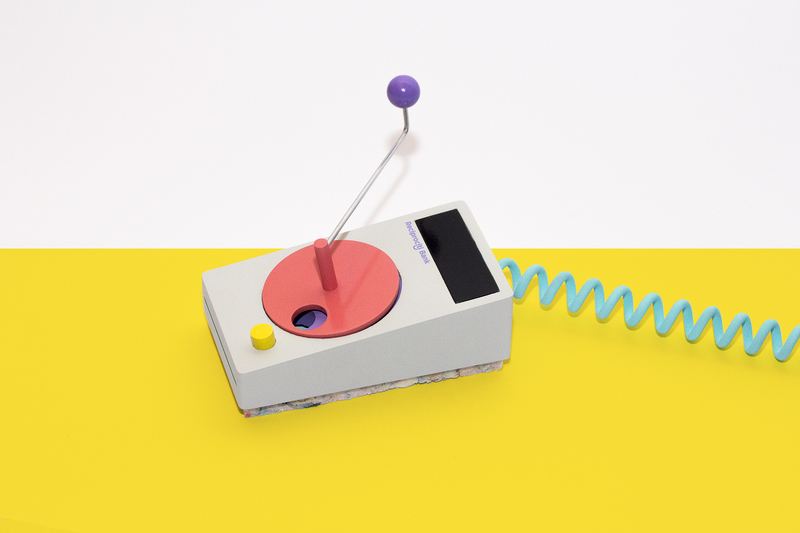 Using fully interactive installations, visitors could engage with the ideas in a tangible way. Questioning our use of financial technologies, we suggested new metrics by which to measure value. 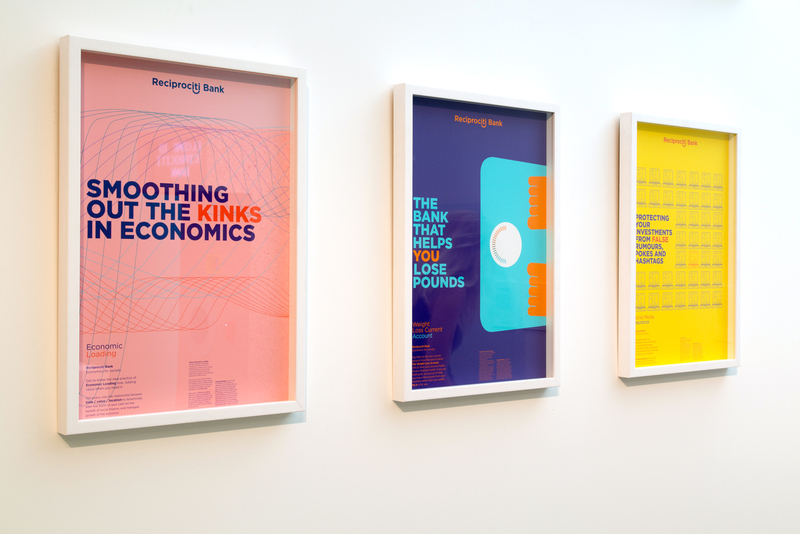 To communicate the ideas we'd developed around new forms of finance, we built our own space inside the museum. Where better to talk about money than a bank! 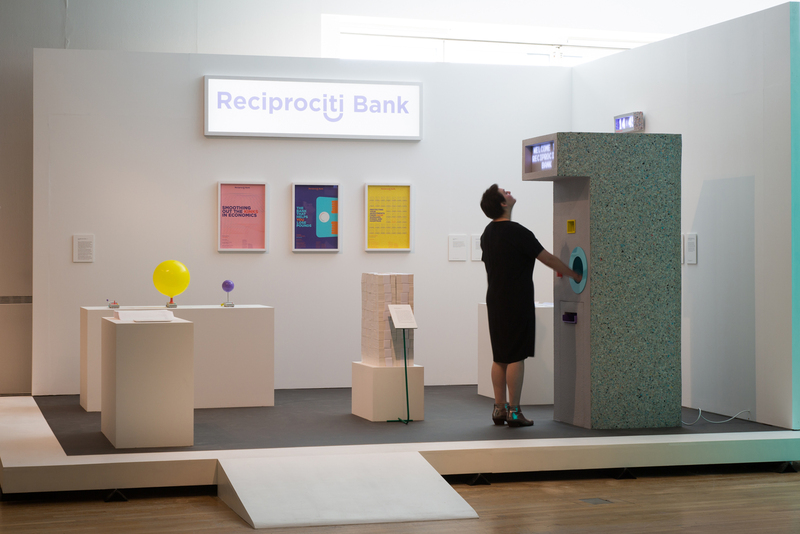 Reciprociti Bank was created to thematically resemble a film set, and the exhibits took on the aesthetics of toys. These design choices helped create a space where the audience could engage with the work, without the constraints of them existing in a real world context. As well as designing the space for the show, we created all the things you might normally find in a bank... with a difference. A working ATM which displayed your previous purchases for all to see - how would your spending habits change if they became public knowledge? 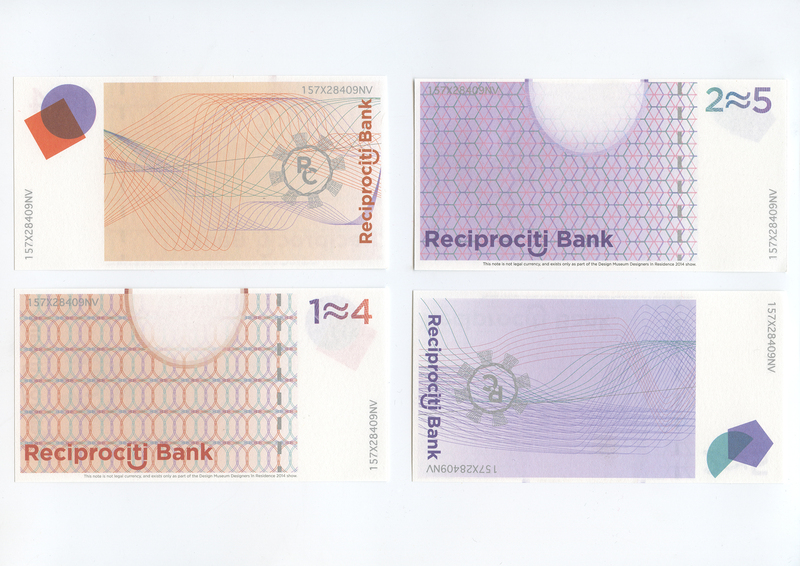 We designed a new currency who's value fluctuates depending on location and time. 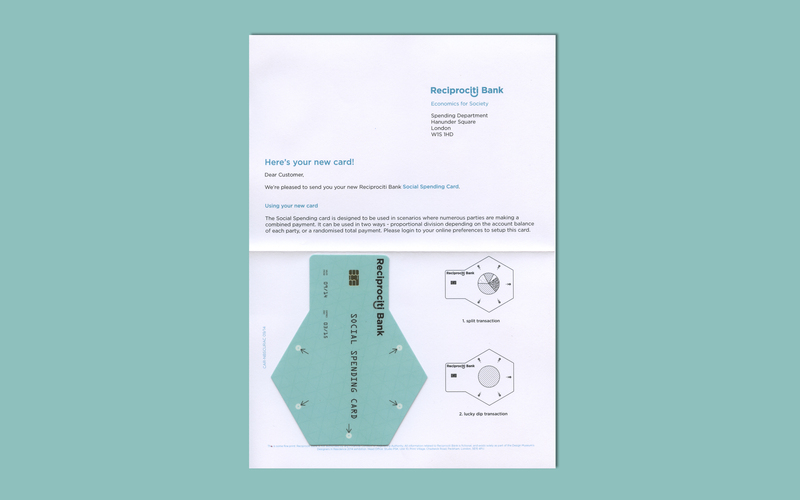 Using an idea of 'Economic Loading' we wanted to explore money's use as a behaviour changing tool. 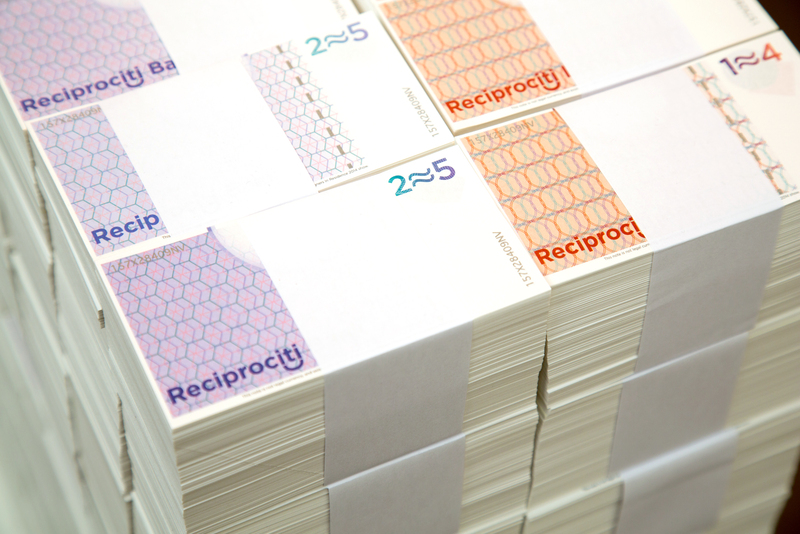 As money becomes less and less tangible, we wanted to know how you could regain some of the characteristics of cash, and what new social rituals may evolve. 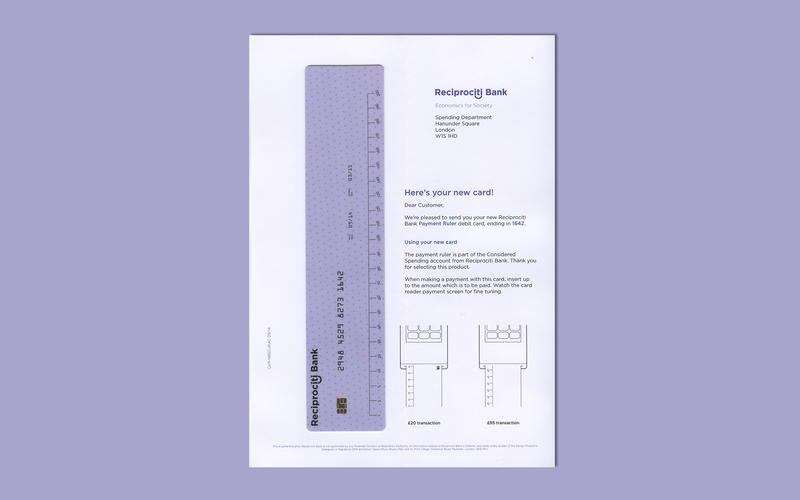 To do this, three new credit cards were devised along with payment plans. 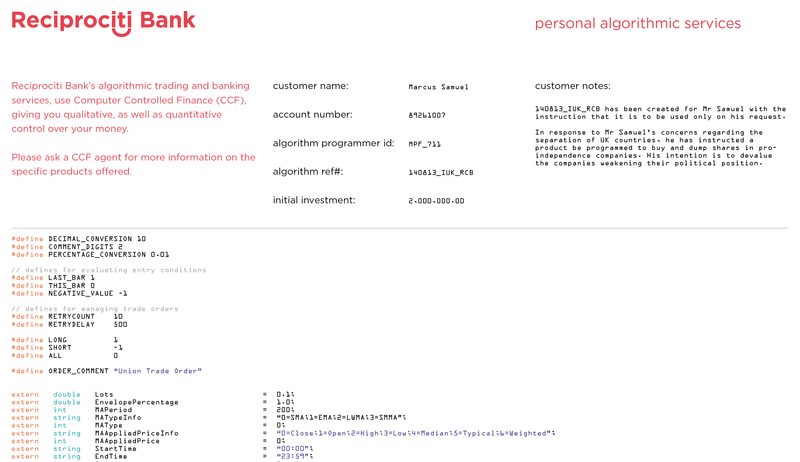 These included a lucky dip scheme for paying for dinner with friends, a system of proportional payment depending on current account balance, and letting people add positive or negative meta-data to digital payments. 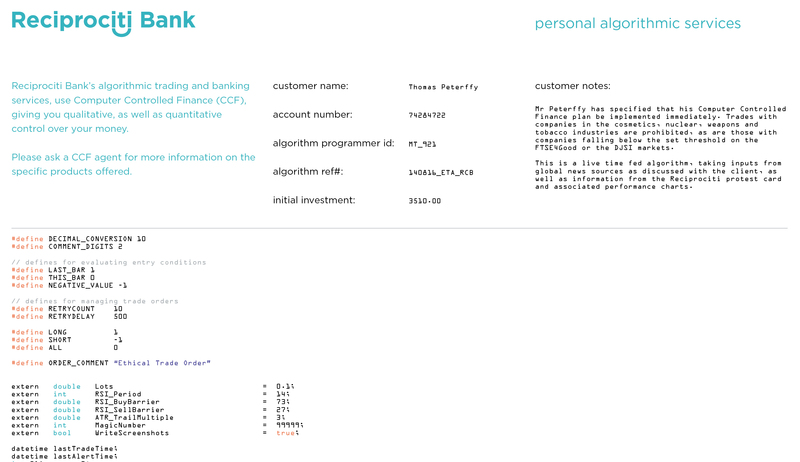 Also on this theme, working with an ex-financial trader, we developed a trading algorithm which would help propagate your political viewpoint, and one that would provide the most ethical portfolio rather than just using profitability as the sole metric for success. New forms of card readers were also created to help make tangible the actions involved in digital payments. 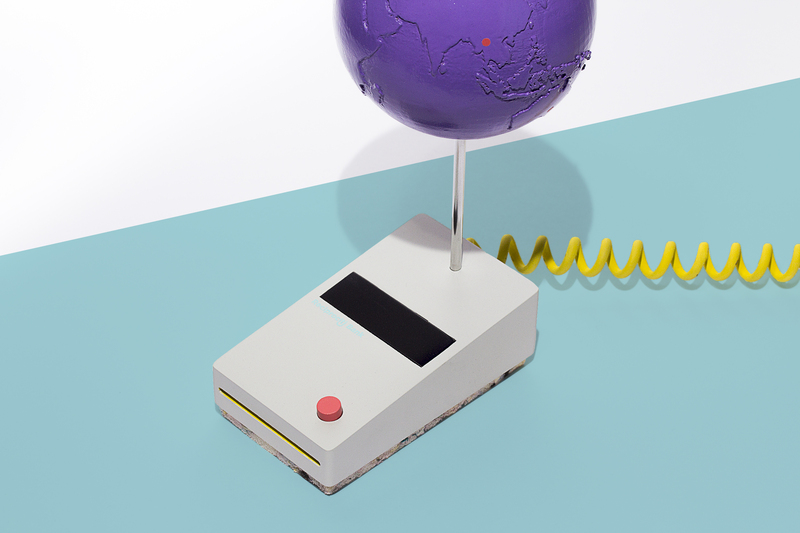 One requires the customer to dial up each penny of the payment by manually rotating the dial, the next asks them to physically squeeze the money out of their account by deflating the balloon, and the last shows the path the digital payment makes around the world before reaching the recipient. Our exhibit helped attracte the 55,000 visitors to the show. Liked that? Try this > Bad News Bot.